We strive to make miracles happen in the lives of chronic kidney disease patients throughout Central Illinois. The 29th annual golf outing to benefit CIMKF will be held on August 16, 2019 at the Pine Lakes Golf Course in Washington, Illinois. Players will be treated to a great course, an outstanding clubhouse, wonderful food, and, we hope, perfect weather for golf. And, participation in this event helps us to meet patient needs in the Central Illinois area for several months. We will be playing a four person scramble format with a shotgun start at noon, check in by 11:30. 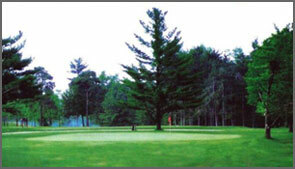 The entry fee includes green fees, golf cart, refreshments on the course, and a wonderful steak dinner following golf. Men, Women, Mixed foursomes welcome! Make plans now to enjoy this fun-filled day. The main sources of funding are the annual benefit presented by the Morton Civic Chorus in May and the annual CIMKF Golf Outing in August. Additional funds are received through memorials and contributions made directly to CIMKF. A Board of Directors, all of whom volunteer their time, meet monthly to review requests and approve support to meet the needs of patients. Kidneys clean waste and extra fluid from your blood. More than 10% of Americans have chronic kidney disease with varying levels of severity. This means they have permanent kidney damage. When the damage is bad enough that kidneys stop working, either dialysis, where a machine cleans the blood, or a kidney transplant is needed in order to live. Normally dialysis takes about 4 hours, 3 times per week. Most people on dialysis don’t have enough time left in the week to work full time. As a result, some people must choose between food and medicine.